Purchase one of 1st World Library's Classic Books and help support our free internet library of downloadable eBooks. 1st World Library-Literary Society is a non-profit educational organization. 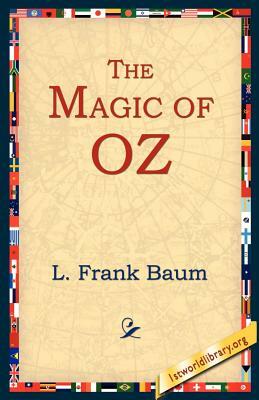 Visit us online at www.1stWorldLibrary.ORG - On the east edge of the Land of Oz, in the Munchkin Country, is a big, tall hill called Mount Munch. One one side, the bottom of this hill just touches the Deadly Sandy Desert that separates the Fairyland of Oz from all the rest of the world, but on the other side, the hill touches the beautiful, fertile Country of the Munchkins. The Munchkin folks, however, merely stand off and look at Mount Munch and know very little about it; for, about a third of the way up, its sides become too steep to climb, and if any people live upon the top of that great towering peak that seems to reach nearly to the skies, the Munchkins are not aware of the fact. But people DO live there, just the same. The top of Mount Munch is shaped like a saucer, broad and deep, and in the saucer are fields where grains and vegetables grow, and flocks are fed, and brooks flow and trees bear all sorts of things. There are houses scattered here and there, each having its family of Hyups, as the people call themselves. The Hyups seldom go down the mountain, for the same reason that the Munchkins never climb up: the sides are too steep.